We love food in our house, well my OH does. 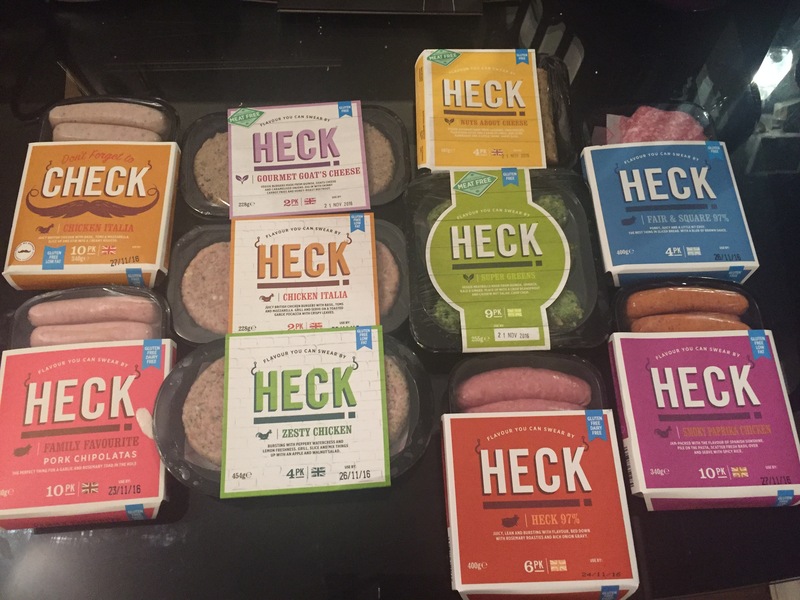 It’s difficult to try and find food that he will eat and enjoy but when a company called Heckfood got in contact and asked if we wanted to try a selection of their food. I arranged a delivery with heckfood as they only have two deliveries every week I had to try and fit it in when they had a free space, you can find out more here. Within the space of a week my delivery had arrived, couldn’t wait to open it and see what goodies I had been sent. The box had been packed in a cool chilled box with plenty of ice cooler packs to keep the food nice, cold and fresh. Our next door neighbours had taken the package in as we were at work but the good thing was the ice cool packs were still freezing even after 4 hours of being out the fridge. 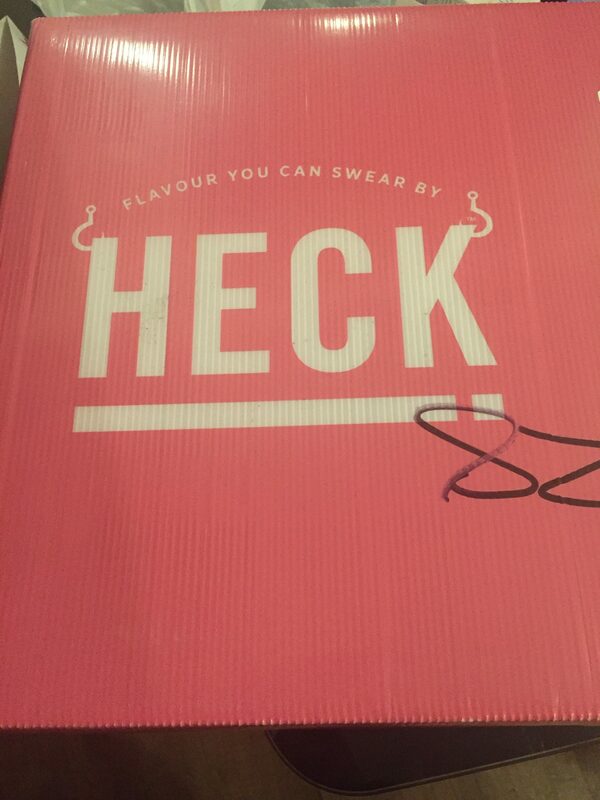 Having never heard of heckfood before I was excited to see what they had sent us to taste. They sent us a large selection of their Sausages, burgers and meat balls of all different flavours and they smelt amazing. I had to put the majority of it in the freezer to prevent it going off. I kept the fair & square burgers out and a pack of chicken Italia sausages to try. I cooked the burgers the other night for tea and they were fab, they didn’t shrink in size like normal burgers and stayed together when picked up to put on the rolls. They tasted amazing, full of flavours. We had them with curly fries, salad, onion and bacon. I would most definitely buy these products again. They are available in Sainsburys, Waitrose, Asda, Morrisons and Tesco. * We were sent these products free of charge for the purpose of this review, however all thoughts and opinions are my own.